Here are some questions to assist you in your decision making process. 1. Does your company use sub-contractors or direct employees for the installation? Hawkeye Security and Electronics uses only direct employees for installers. We provide the highest levels of training, the proper tools, stringent screening of applicants, and proper insurance coverage. Companies who use sub-contractors cannot guarantee who will show up at your door, or who will service the system later. 2. What kind of training do your installers receive? Hawkeye Security and Electronics provides a structured training program including classroom and lab environments, manufacturer and industry training classes, and on-the-job apprenticeships. The founders of Hawkeye Security and Electronics were previously employed by a system manufacturer and provided training to other companies in that capacity. 3. After the installation, who do I call for service? Hawkeye Security and Electronics stands behind every installation with responsive local service. Other companies route calls through a national service dispatch. That means the person who installed your system will most likely not be the one to service it. Therefore, they may not be familiar with your exact system, design, or goals. 4. Will you custom design a system to meet my needs? Many companies offer a set package with a one-size-fits-all mentality. Hawkeye Security and Electronics always custom designs a system to meet your needs, your lifestyle, your concerns, and your budget. We specialize in providing innovative solutions to challenges. 5. Will your company be around in the long term? Hawkeye Security and Electronics has been in business since 2002. While many companies are here today and gone tomorrow, we have shown our stability and ability to serve our customers for years to come. 6. What your company maintain a professional appearance at my home/business? The employees of Hawkeye Security and Electronics will arrive to your location in company attire with a clearly marked bright yellow vehicle that is cleaned and well maintained. 7. Will I need to hire a cleaning company to clean up after the installation? We feel that no job is complete until it is cleaned up. We vacuum wood shavings and drywall dust so that you can’t tell that we were in your house except for the components that are installed. 8. My house is already built. I want a system, but don’t want wires run where I can see them. Do you have a solution? Most of our work is post-construction. We have the proper tools and skills to get wires to the devices without exposed wires. 9. Do you install hard-wired or wireless systems? We will sometimes use sensors with wireless transmitters when wiring is impossible. Many companies opt for completely wireless systems. Unfortunately, these are less secure, have batteries that must be changed, and are more difficult to blend in with the decor of your home. 10. Are you the cheapest out there? With our Home protection package starting at only $69 including Burglary, Fire, and Cellular service, we can’t be beat on price. 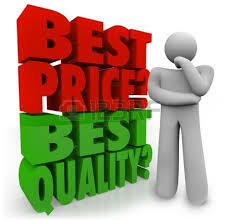 Hawkeye Security and Electronics focuses on providing value and top-notch service rather than the cheapest price. We offer a more comprehensive package with the expertise to back it up. With our system designs and recommendations, you are still the boss.